"Nestled in the hills just below the spectacular perched village of Bonnieux, this idyllic property is run by Jean-Pierre and Martine Margan. The building is from the 17th century and has been inhabited ever since. Springing from the hill is a very strong fountain which supplies abundant amounts of water in even the driest years and the rolling hills behind the property are covered with grape vines, truffle oak trees and 200 year old cherry trees. The Margans know that they have something very special going, and their approach to viticulture reflects this. The sixty acres of terraced vineyards surrounding the property are farmed organically and biodynamically and the average age of the vines is over thirty years old. 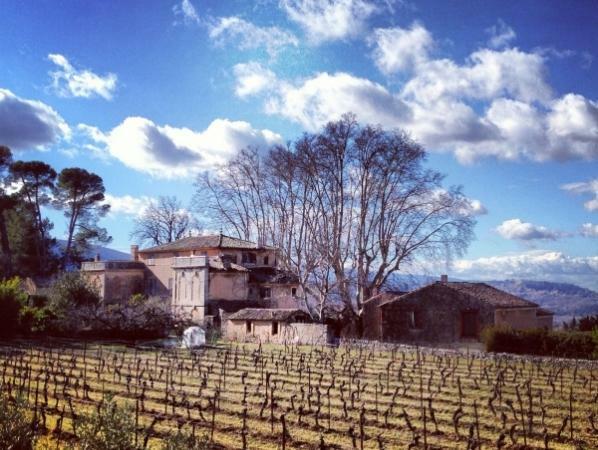 In the last few years, Canorgue's wine has become incredibly popular in Europe, and this was only intensified when the region around this estate was made famous in Peter Mayle's book A Year In Provence. They are undoubtedly at the top of their appellation and the quality level of the wines produced here can often rival those produced in the prestigious vineyards of the southern Rhône valley."